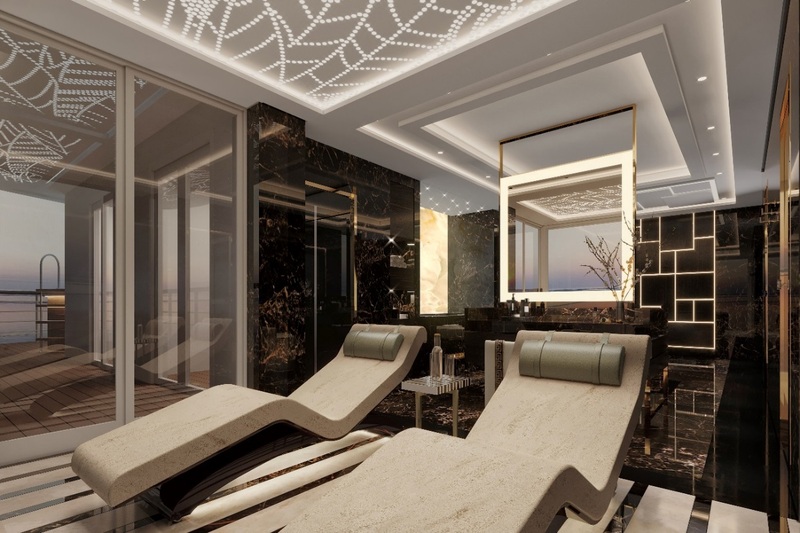 SINGAPORE (Jan. 31, 2019) – The new most luxurious residence at sea will be perched on the 14th deck of Seven Seas SplendorTM, above the bridge and overlooking the ship’s bow when she sets sail in February 2020. As the largest suite ever constructed on a luxury cruise ship with more than 3,000 square-feet of interior accommodations, the Regent Suite is 4,443 total square-feet of palatial elegance at sea, complete with an in-suite spa retreat featuring a personal sauna, steam room and treatment area with unlimited spa treatments, unobstructed 270-degree views over the ship’s bow from the 1,300 square-foot wraparound veranda, and a glass-enclosed solarium sitting area on top of the bridge for a Captain’s view to see the world’s most beautiful destinations as Seven Seas Splendor arrives at each port. 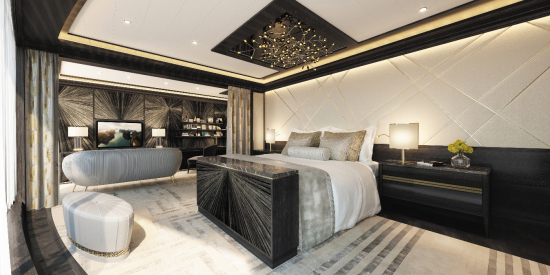 Guests in the Regent Suite also enjoy a dedicated personal butler to manage all the details of the guests’ experience, a personal car with driver and guide in every port, and the exquisite comfort of a custom, hand-crafted $200,000 Vividus bed from the renowned Hästens brand. 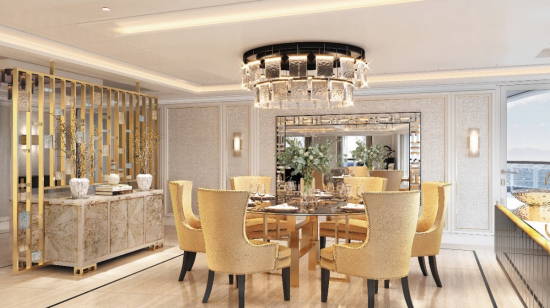 There is only one Regent Suite on board Seven Seas Splendor, and it builds on the renowned reputation of the Regent Suite on Seven Seas Explorer. 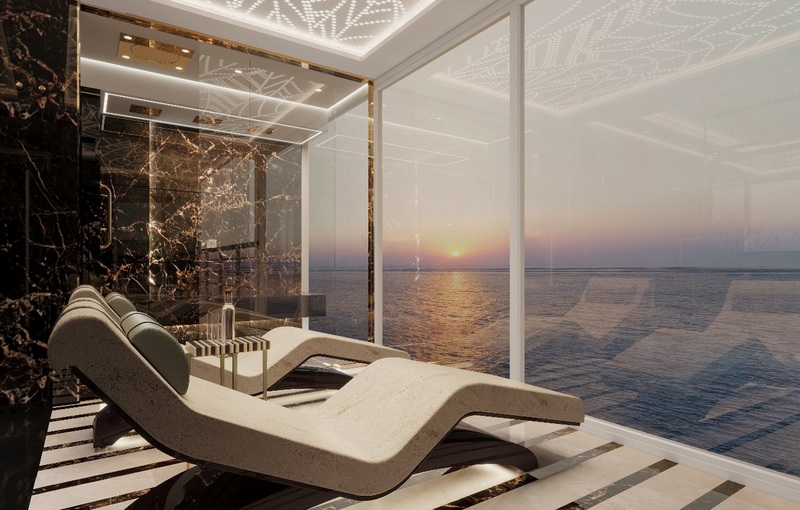 The Regent Suite master bath and in-suite spa are 30 percent larger on Seven Seas Splendor to incorporate a stunning floor-to-ceiling ocean-view shower. Also different: A custom-made Treesse minipool spa is placed on the front balcony, providing incredible views from the glow of dawn to the setting sun while guests soak and relax while sipping a glass of Veuve Clicquot. 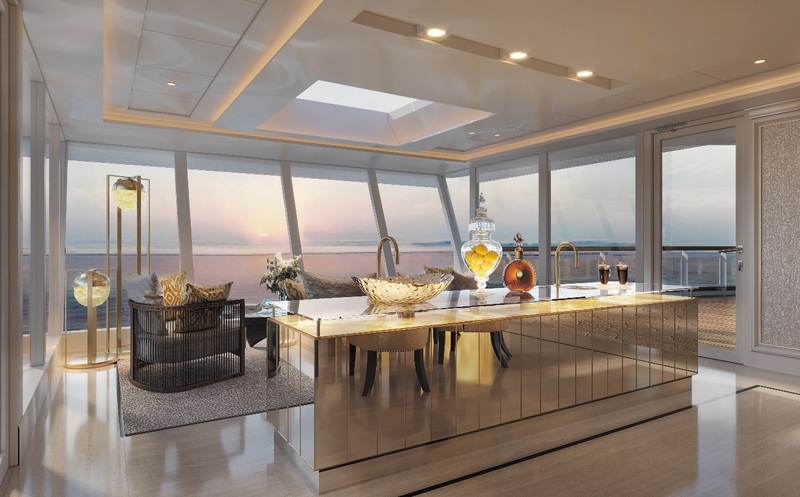 The fully-stocked bar bordering the living room and solarium allows for unobstructed ocean views while you recline in comfort as a personal butler mixes your favorite beverage. The in-suite heated relaxation loungers and walk-in shower feature floor-to-ceiling vista views. The custom-made Treesse minipool spa is perfectly located on the front balcony. The fully-stocked bar in the solarium allows for unobstructed ocean views. 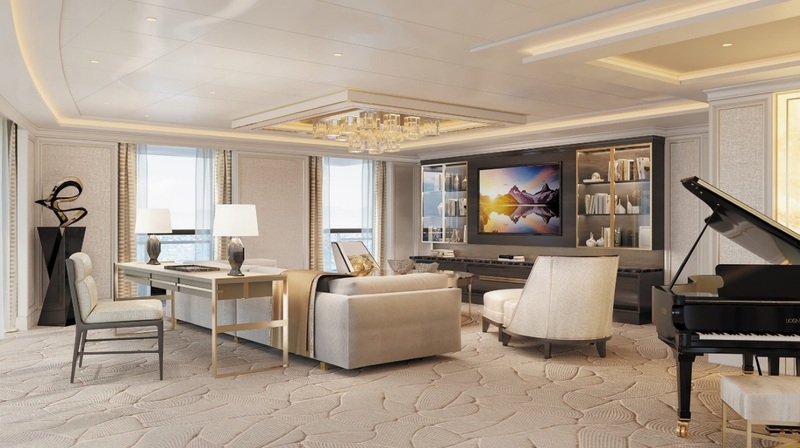 Upon opening reservations for Seven Seas Splendor in April 2018, Regent Seven Seas Cruises had the best single booking day in the brand’s 26-year history, accounting for a 32 percent increase over the previous all-time high. For more information please visit www.RSSC.com, call Singapore 800-616-7097 / India 0008-0004-01055 / Hong Kong and Rest of Asia +852 2165 6020, or contact a professional travel advisor. Luxury travelers and travel agents can also access a digital brochure here. Regent Seven Seas Cruises offers an unrivaled experience to luxury travelers. The cruise line’s modern four-ship fleet visits more than 450 iconic and immersive destinations around the world, and will add Seven Seas Splendor in 2020 as the fleet’s fifth ship and then grow by a sixth ship in 2023. All luxuries are included in Regent Seven Seas Cruises voyages, such as all-suite accommodations, the largest collection of unlimited shore excursions, unlimited internet access, highly personalized service, exquisite cuisine, fine wines and spirits, gratuities, ground transfers and one-night, pre-cruise hotel packages for guests staying in Concierge-level suites and higher. In 2018 the cruise line concluded a $125 million refurbishment program of Seven Seas Mariner, Seven Seas Voyager and Seven Seas Navigator to elevate the fleet’s elegance to the benchmark set by Seven Seas Explorer.